Have you ever been so frustrated with your handset that you just wanted to punt it into outer space? 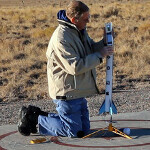 Actually, there are better reasons to stuff your smartphone into a model rocket and have it blast off into space. 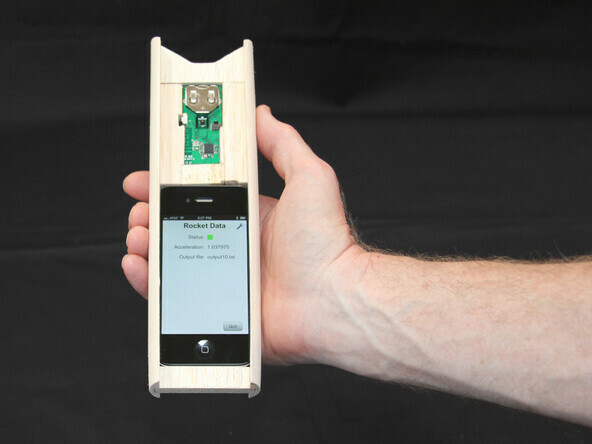 You might be like Mike Westerfield, who built a special balsa wood container in which he placed his wife's Apple iPhone 4S and a TI SensorTag. The goal is to capture certain flight information, like maximum altitude and speed. Building this thing took a lot of hard work and all of the instructions can be seen at the sourcelink. The most important part that you will need is the Apple iPhone 4S and unless you have a wife willing to donate her phone for the advancement of science, you're going to have to use your own phone. thats cool how about trying it with an ipad,..